Healthy, delicious, tested recipes - from our kitchens to yours. Whether steamed, boiled, pan-fried or deep fried, dumplings are delicious. I’ve been eating a fair amount of dim sum the past year, which has afforded me the opportunity to try lots of different dumpling textures and flavour combinations that I wasn’t previously acquainted with. This particular recipe isn’t too adventurous – I think arguably this is the most common type of asian dumpling out there – but it is surprisingly simple and it is really quick to prepare. 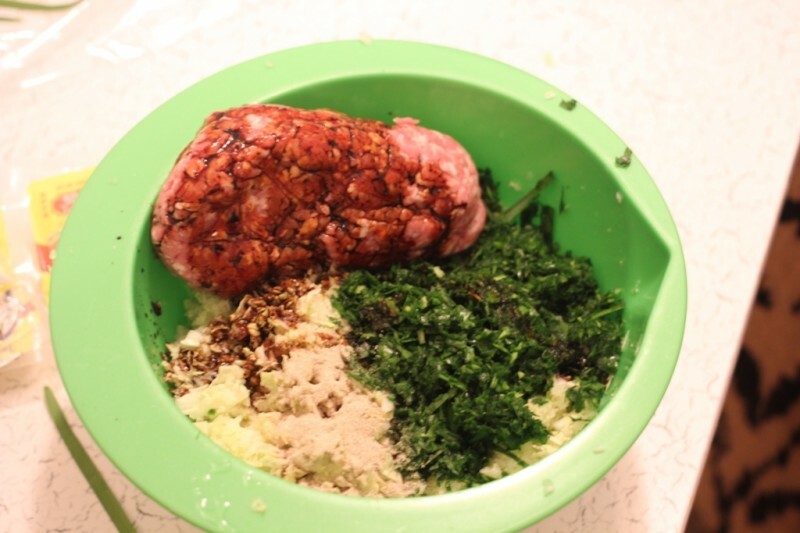 Doing all the vegetables in the food processor really speeds up the filling making process. 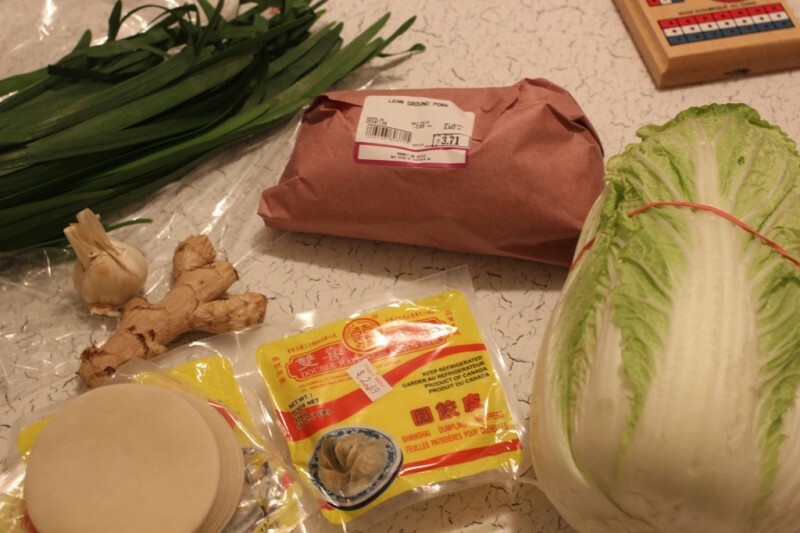 It’s nice to know exactly what you are putting into the dumplings. 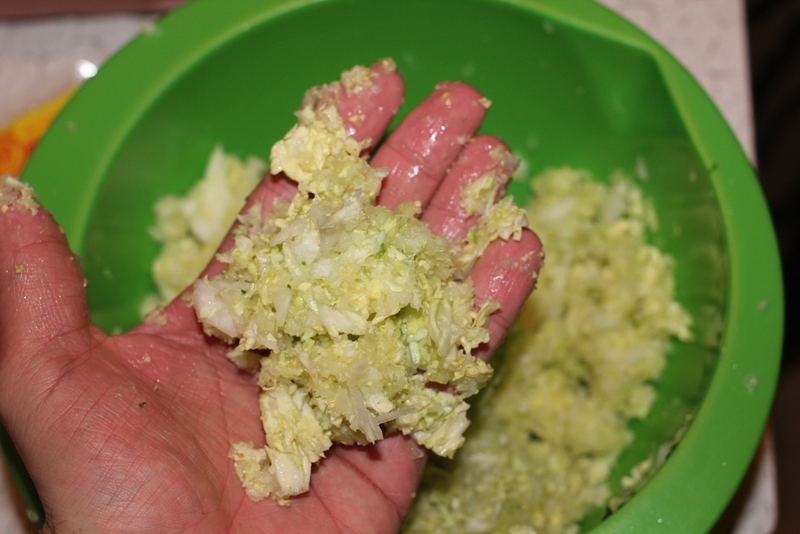 Roughly chop the cabbage and chives/green onions into 1-2 inch lengths then put in the food processor and pulse until finely chopped. Combine the chopped vegetables with all of the other ingredients (except for the wrappers!) 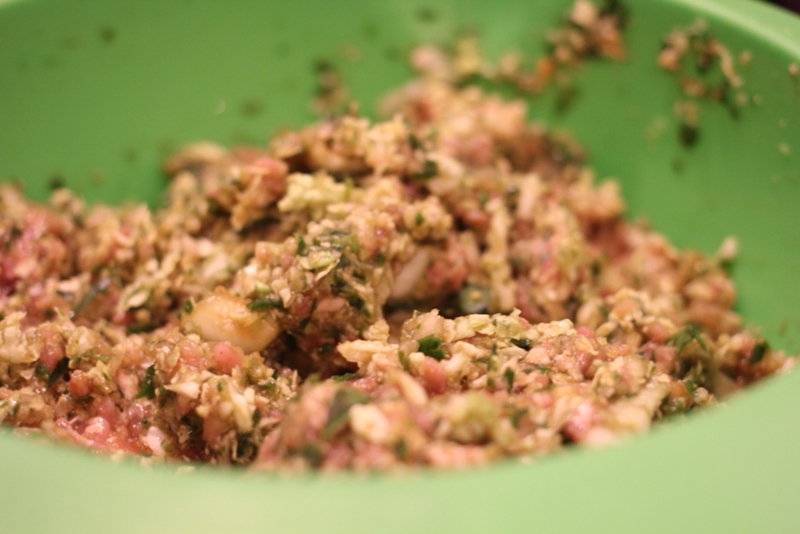 and mix with your hands until combined – you are now ready to start forming dumplings! As I make the dumplings I place them on a cooking sheet – some get cooked right away and the rest I put into the freezer. 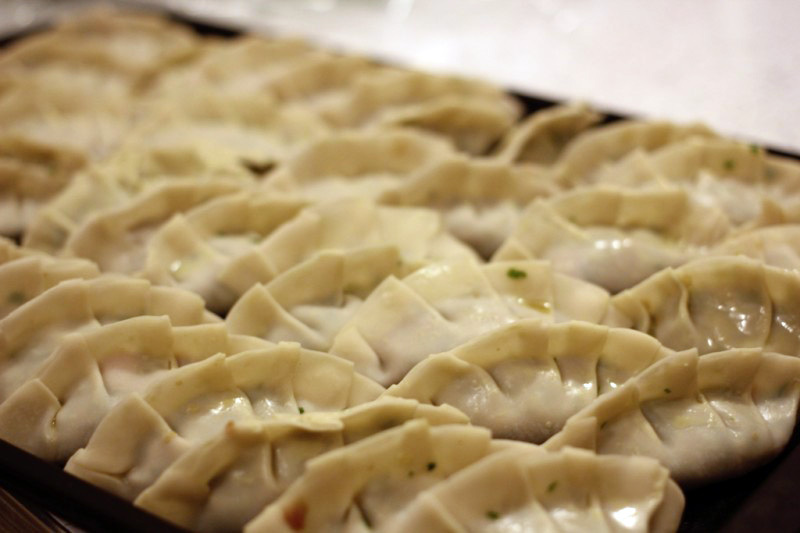 Once frozen remove the dumplings from the cooking sheet and put into freezer bags. Now you have dumplings that are ready when you are. To cook the dumplings, heat up a pan to medium and then add oil. 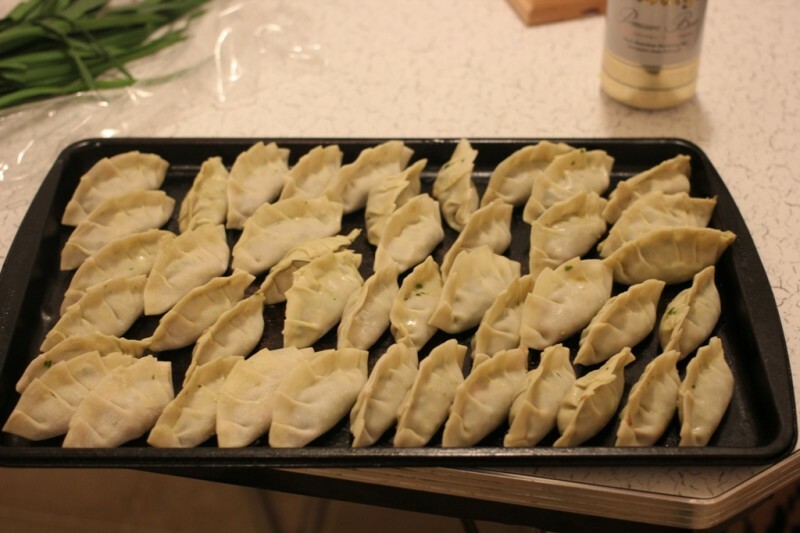 Place the dumplings (folded side up and not over crowded) and cook until golden brown on the bottom, approximately 5 – 7 minutes. Once browned, add ½ cup or so of water to the pan, turn down the heat and then cover the pan. The dumplings will steam and cook through. 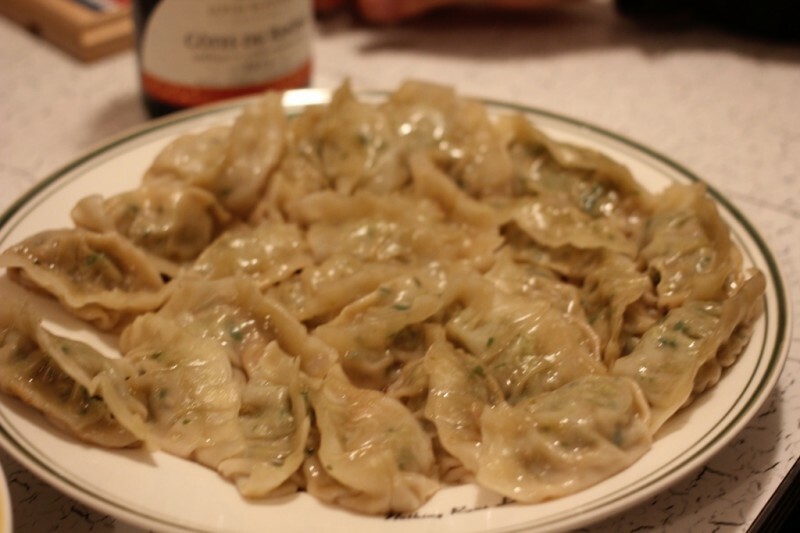 When the water is more or less evaporated the dumplings can be removed from the pan and are ready to serve. I like to serve them with a dipping sauce that is a mixture of Chinese vinegar, chili oil and soy. Fantastic idea and post! How did you not incorporate your kitchenaid into the pictures? Doesn’t matter if you used it or not.. the beast deserves airtime! Haha yes I agree it does. I am going to do a high fibre bread recipe in the near future… the kitchenaid will definitely get some air time for that one. I have sampled these little jems and I must say one of the best ive ever had and definitely the best ive had in the city. I got to try these last week – so yummy! They disappear fast. These look absolutely delicious. Will have to try them out. I had no idea you could buy dumping shells all ready to go like that.